Richmond loses two councilmen in 24 hours. | 30th Anniversary Issue | Style Weekly - Richmond, VA local news, arts, and events. Today's political leaders' agenda, all too often, may be best described as one of broken trust and chosen wrong. Joe's foray into this arena was a breath of fresh air. Seriousness of purpose was underpinned with veracity. His refreshing and honorable persona was a welcome relief in our society where too many politicians are ill-acquainted with integrity. 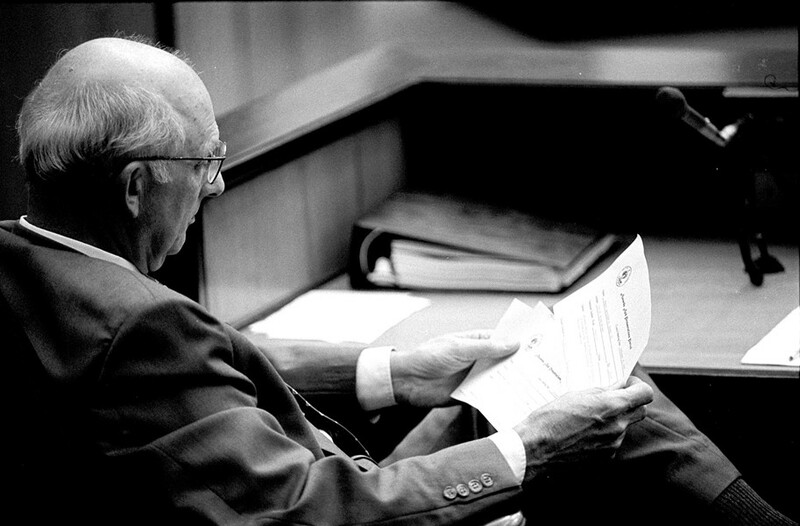 Where political leaders cut and paste the truth, character was a long-standing habit of Joe Brooks. Joe was a passionate advocate of the premise that the true path to real progress begins with frank and civil discussions. To those who would ascribe a paternalistic attitude to his fearlessness to unsettle settled opinions, I found him to be a strong adherent to the belief that his greatest public service was the many unwise steps that he could prevent. His was a wide-visioned voice, which was learned, humane and powerful; it commanded respect, recognition and admiration. Joe's unparalleled competence in and mastery of governmental affairs were awe-inspiring. As the unchallenged custodian of careful and cognitive analyses, his contributions will go down in Richmond's history as legend. He has almost single-handedly positioned the city's finances to effectively meet any future contingencies. No one was better at analyzing problems and formulating solutions. Joe was unusually adept at anticipating political and philosophical debates that transmuted all times. Convictions were his mainsprings of action and driving powers of his political life. His love for Richmond was a transparent addiction. Applicable to this dimension of his devotion to the city is the adage that, "Every calling is great when greatly pursued." As such, Joe's dedication to his beloved city was the primary impetus for a courageous and heartfelt conversation with his work on behalf of the city. While no one is indispensable, he will be irreplaceable and solely missed. As a lifetime resident of Richmond and a former colleague of Joe's, I have no hesitation in saying that he was one of the best politicians and finest human beings ever to grace our city. He was meticulous and meritorious in all of his endeavors. Humility, however, had a two-fold relevance in these applications. First, he exuded the commitment that he was elected to serve and not be served. Secondly, his every effort was based on the belief that his main responsibility was the welfare of others.